From the summer of 1938, British women from all walks of life joined the Women's Voluntary Services (WVS). This disparate band of women came together for the common good - to help serve and protect their communities. By 1941 a million women had enrolled. These brave and dutiful women played a vital role in Britain's victory. The positive impact of the WVS on wartime society was universally acknowledged. They were instrumental in implementing the large-scale evacuation of children from bomb-targeted cities, in the care of the wounded, and in keeping those in war service fed. Lady Reading, founder and fearless leader, was one of the most influential women in twentieth-century Britain. The story of the WVS has never been fully told before. Social historians Patricia and Robert Malcolmson bring this vital part of the Second World War to life in a vivid and engaging way through the diaries and records of the women serving their country on the Home Front. 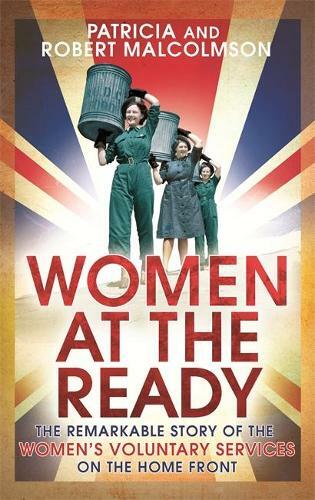 Women at the Ready promises to be a magnificent saga of sacrifice and determination.